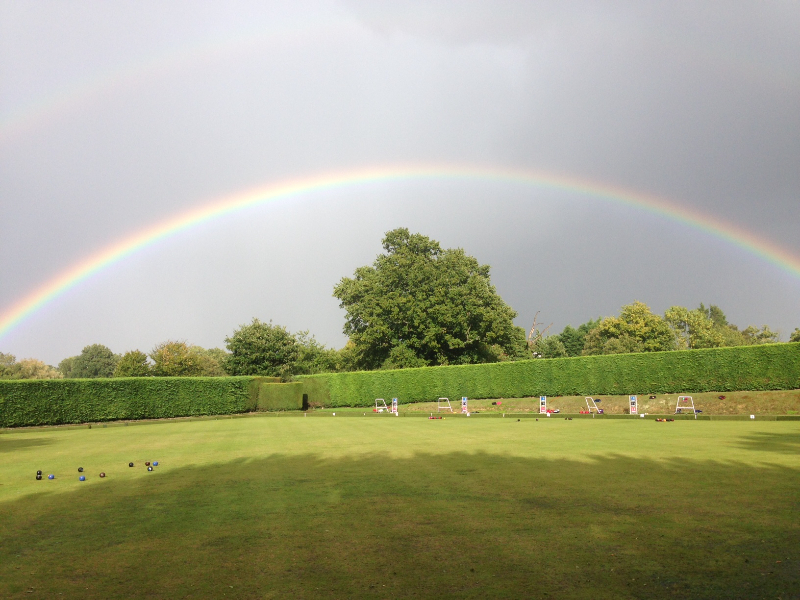 Biddenden Bowls Club is a friendly outdoor bowls club located in the beautiful Kent village of Biddenden. During the season from April to September, the club has weekly rollups, friendly matches, league games and a variety of club competitions. The club is a part of the Village Halls and Sports Group. 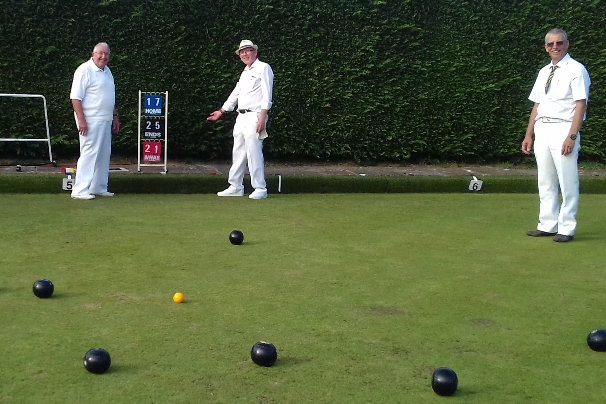 With a mixture of playing and social members, we are proud to be a small and friendly village club making bowling available to all from beginners to experienced bowlers and all in between. 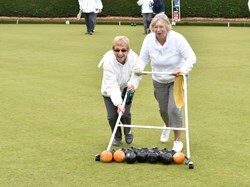 Our members include people who just want to play social bowls at the club whilst others want to play in league games, competitions, tournaments and county knock outs. All are valued club members. A coaching programme is in place with group sessions and one to one support available. 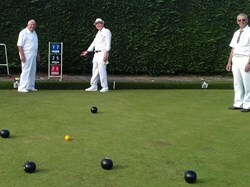 The club has 2 teams in the Weald League (mixed triples) and one in the Maidstone League (mens triples) and hosts its popular Ladies Open Triples Tournament in August. A range of social and community events take place throughout the year, including the annual presentation lunch, quiz night, BBQs, picnics on competition days and active involvement in the “Tractorfest” (a significant village community event). New members of any ability are always welcome and can come along to our April Open Day or a Thursday rollup to meet the members, get some tips and have a go. Several sets of bowls are available for general use and initially all you need to bring along is yourself and a pair of flat soled shoes. If you want to know more please join us on a Thursday afternoon or get in touch via our contacts page.